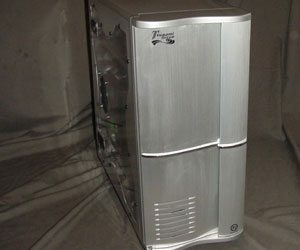 If you are a regular to COD, you would understand by now that I am very passionate about computer chassis. 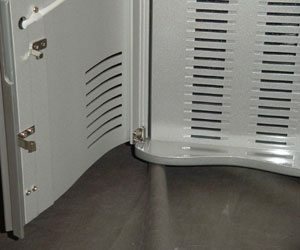 A well designed chassis is the basis of a well built system. 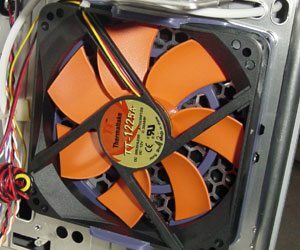 Today, Thermaltake has once again asked that I examine one of their designs. 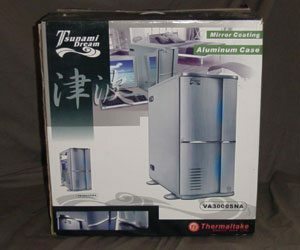 Enter the Thermaltake Tsunami Dream Aluminum Case. Let me start off by saying, when I received it, I had to immediately open the box; I thought they forgot to put the case in there. It is extremely light, weighing in at only 13.2lbs. This is a HUGE difference from the last case they sent me for review, the Damier V5000A, which weighed in at 35.27lbs. Right out of the box, it was eye candy all over again. Every thing fits well, and there is nothing that is out of place. The front actually consists of two doors, once again. The front door is the heaviest part of the case and it is a very stylish hunk of aluminum. Behind that, you have your plastic bezel. I am so used to having a dull plastic bezel and I hate it! Here, Tt has decided to give it a nice polished finish. Unfortunately, I was unable to catch its brilliance with my digital camera clearly but you can get hints of it with reflections of the flash at the bottom of the bezel. 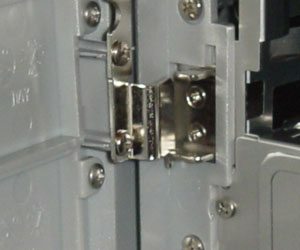 Both doors are fastened to the chassis with real hinges. Hidden behind the second door is your 120x120x25 mm 2000rpm intake fan with removable washable filter. 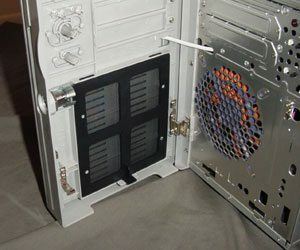 Having a filter provided to you certainly beats the embarrassment of going to the store and buying nylon stockings to cut up and tape to the front of your case to keep them there dust bunnies out. The girls at the counter always giggle at me and point me in the direction of the mascara or lipstick on sale. Since Tt also provides you with a plastic enclosure for the fan, it makes swapping fans simple; no screws involved. The ONLY drawback to this is that you can’t use some of the larger fans like my favorite Panaflo fans which measure a little larger (120x120x38 mm), push MUCH (112 CFM) more air, and are a lot louder. I am a bit extreme though.